Click on activate now button. This will prompt a lightbox form. Fill in the activation fields. 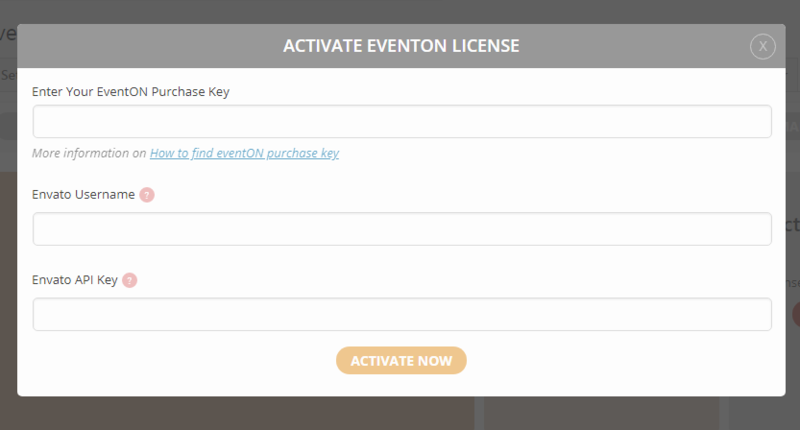 EventON Purchase Key — you can find this key from your codecanyon account. How to find eventON purchase key. Envato Username — This is the envato account username usef for logging into your codecanyon site. Envato API Key — You can find your envato API key from logging into your envato (codecanyon) account and go to Settings > API Keys and generate an API Key. Copy and paste that key. Once all the fields are entered click activate now. 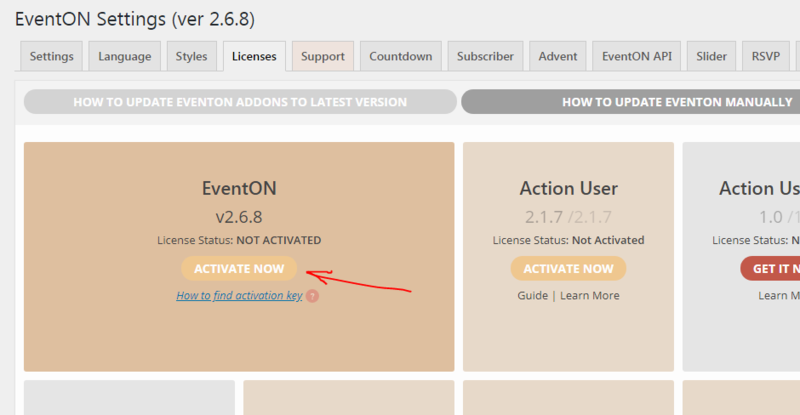 For some reason if you are not able to activate your legally purchased copy of eventON license. Please send us a ticket via http://helpdesk.ashanjay.com and our staff will be more than happy to assist you.